Sentinel Building Systems, Albion, has expanded into its new plant area that was completed last fall. 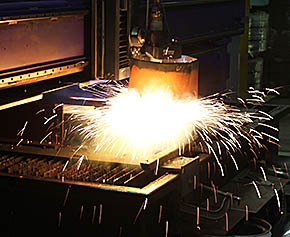 The company has added a dual table high definition plasma cutting system, as well as a new trim line. Both of these equipment additions allow Sentinel to make more building components and do it more efficiently, said Pat Cleveland, plant manager. Details in the Jan. 21 Albion News Print and E-Editions.